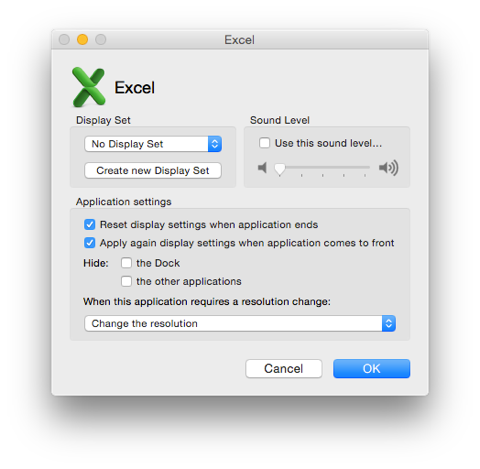 Different applications often come with different needs in terms of resolution. While most beamers work with XGA offering 1024x768 pixel, your DVD displays best at WUXGA widescreen size of 1920 x 1200 pixel? Your NTSC TV prefers 2368 x 1480 pixel, while your PAL TV is doing best with just 1024 x 576 pixel? And whilst Word might display best at 1280 x 960 pixel graphics design and photography require your Retina displays maximum fine grain of 2880 x 1800 pixel. That's a bit of a muddle? 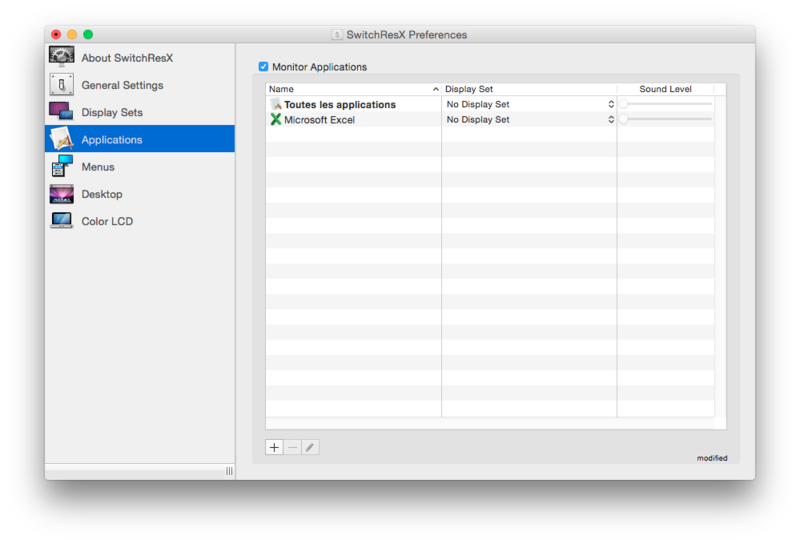 The result (and reward): Once set up, you can launch any app you like and SwitchResX adjusts your display resolution immediately. Switch to another app and see the resolution is switching, too. Thus you always work with your preferred resolution without having to jump back to the System Preference all the time.